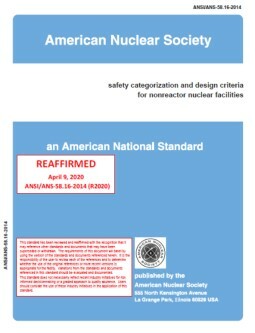 standard by American Nuclear Society, 04/22/2011. standard by American Nuclear Society, 09/09/2014. 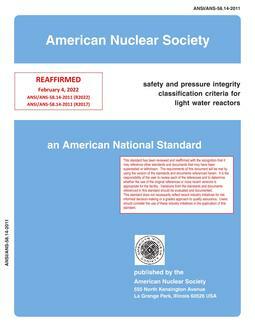 standard by American Nuclear Society, 03/01/2007. 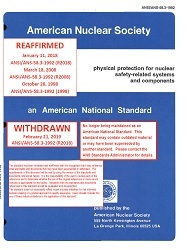 standard by American Nuclear Society, 11/20/2007. standard by American Nuclear Society, 03/17/1977. standard by American Nuclear Society, 08/06/1992.